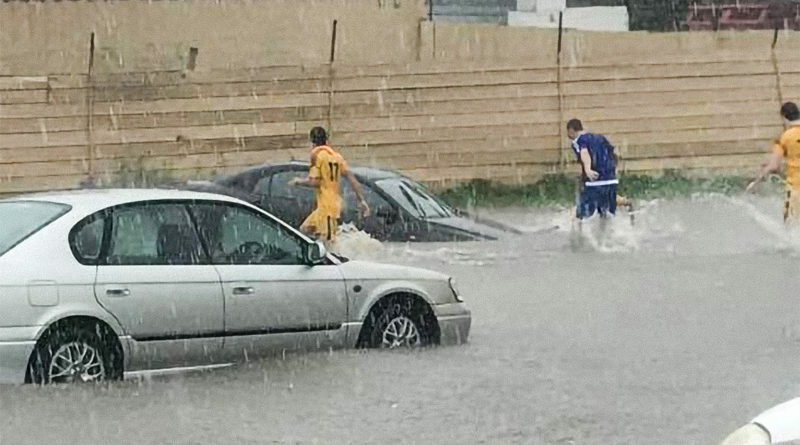 What an evening! 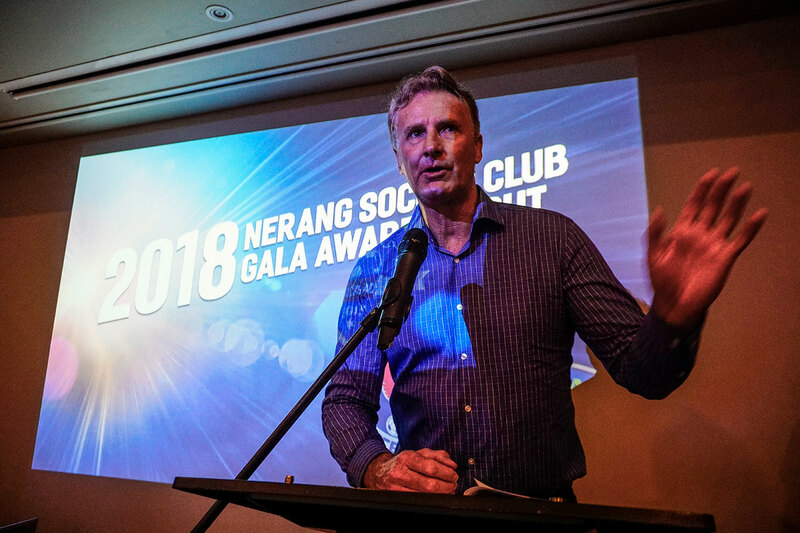 Such a fantastic night on Saturday and Nerang’s finest turned out to celebrate the successes and efforts of our many senior women’s and men’s teams throughout the 2018 Football Gold Coast season. 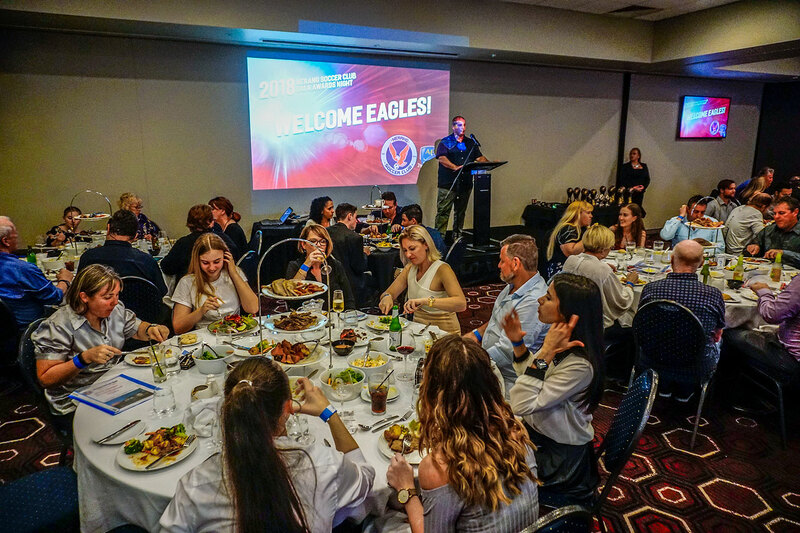 Attendees packed into the upper room at the Nerang RSL and were treated to some amazing food thanks to the talented chef’s in the RSL’s kitchens, followed up by some absolutely delicious desserts and drinks late into the night. 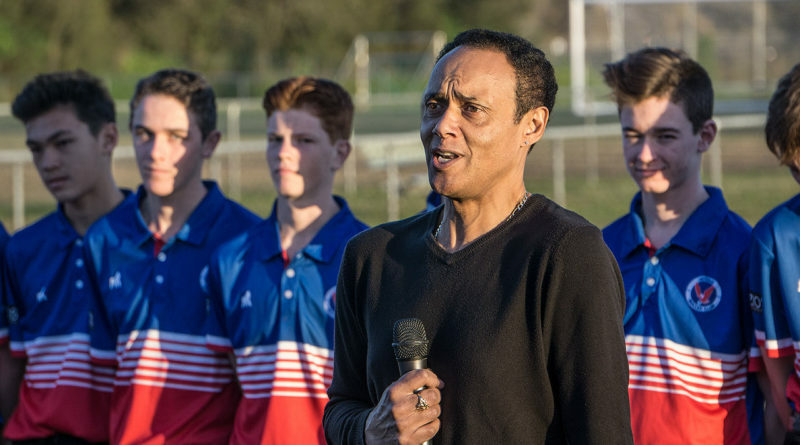 Outgoing Premier League Coach (and incoming senior coaching director) Keith Garland rose to thank the club and lay praise on the high achievements of the club’s very youthful Premier League and PL Reserves sides during the 2018 season – citing his eagerness to roll into 2019 and see what the club can further achieve under new coach Dave Benigno. 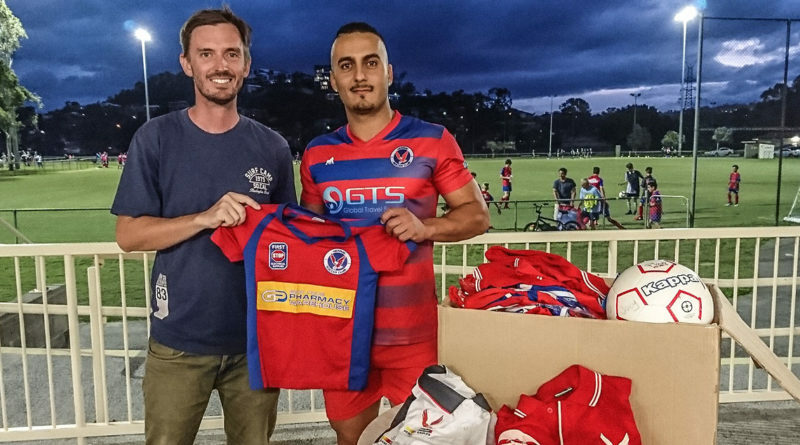 Outgoing Premier League men’s coach Kieth Garland was full of praise for the professionalism and environment at the club, expressing his keen interest to be involved again in 2019. 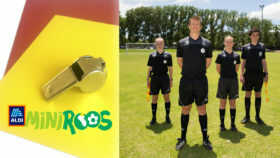 Wonderful to see our talented women there and some great shots of them in action during this past season. 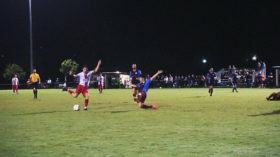 Slideshows and an impressive video-highlights reel were shown on the big screens thanks to Coral Sea Media, some cracking goals and hits in there boys! 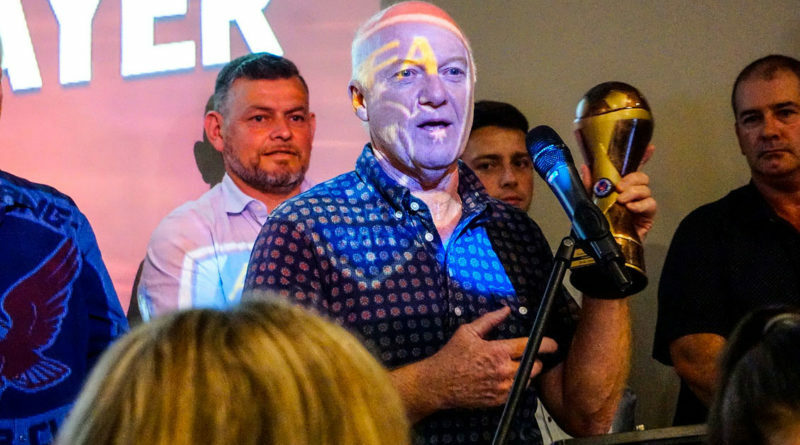 Big thanks also to our sponsors and partners this year, was great to see you all up on the big screens and the thanks going out throughout the night. 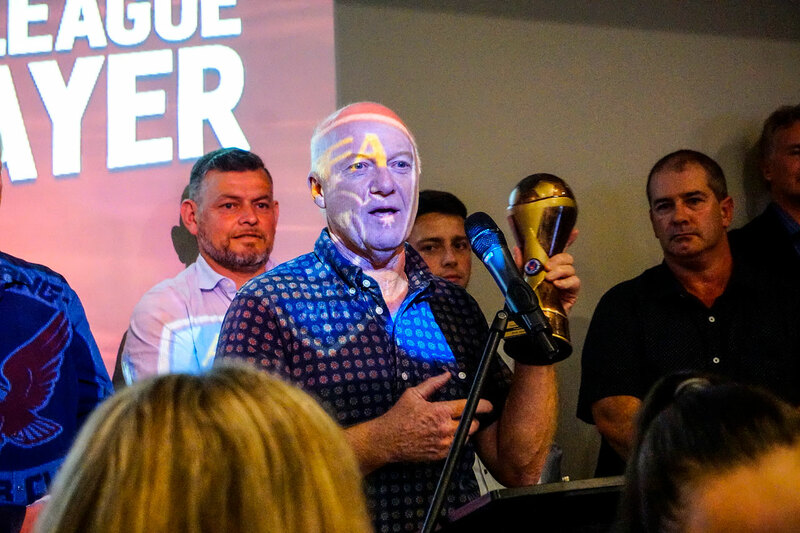 Award winners list below, congratulations to all those who shone this year and earned their accolades and to the many Academy Of Football Australia players who played up in our senior teams – fantastic effort. 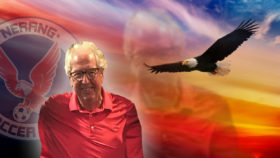 Special thanks also to Mel and the organising committee for a fantastically planned and run event again this year – the staff, food and service at the RSL are all second to none! 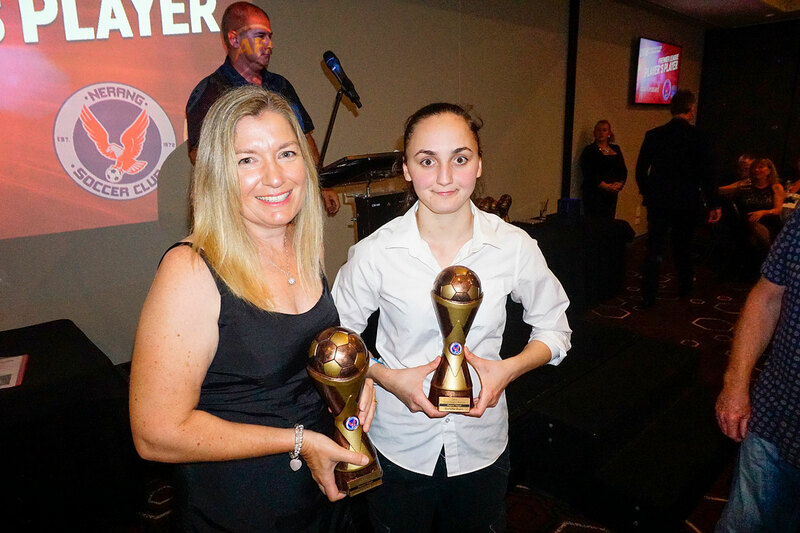 Our women’s Player’s Player award winners Penny Evans (Metro) and Porche Davis (Coast League). 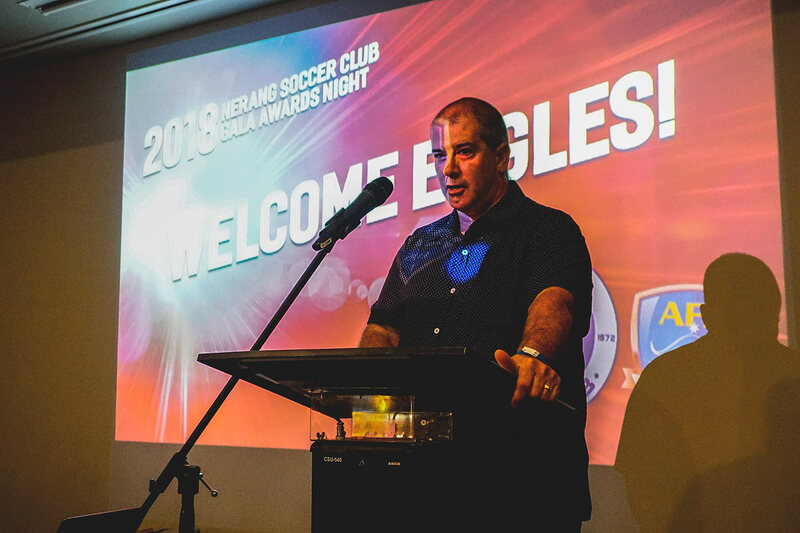 2018 Nerang Soccer Club Coach of The Year, AFA and NSC super coach Brad Hill. 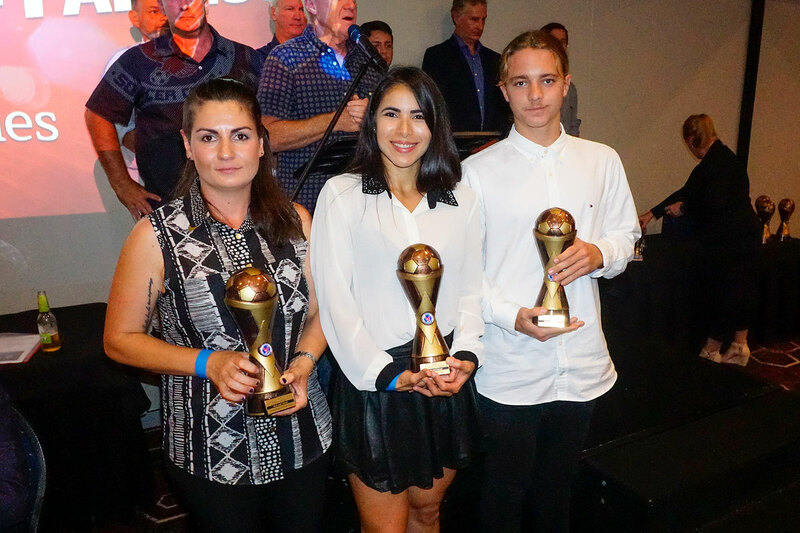 Best & Fairest award winners Stephanie Tierney (Metro), Oriza Laprea (Coast League) and James Blackman (PL Reserves). 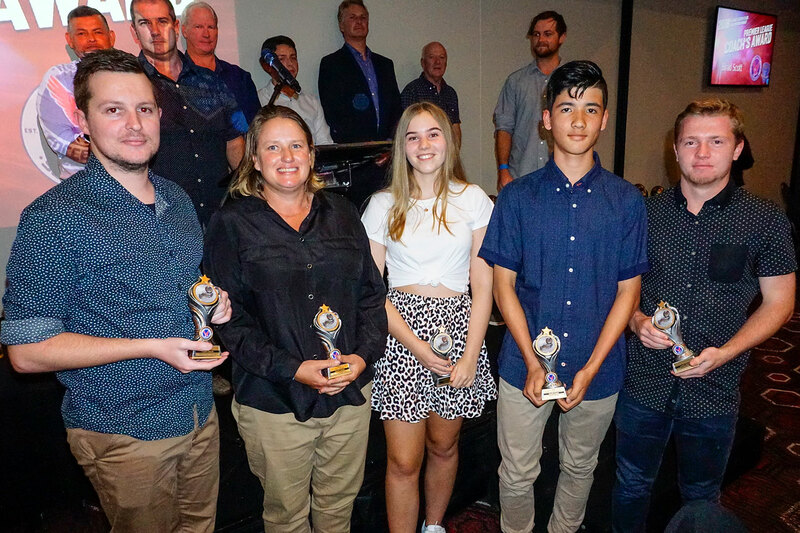 Coach’s Award winners Mathew Jeffrey (Metro Blue), Nicole Matthews (Metro), Brooke Leslie (Coast League), Harry King (Premier League Reserves) and Brad Scott (Premier League). 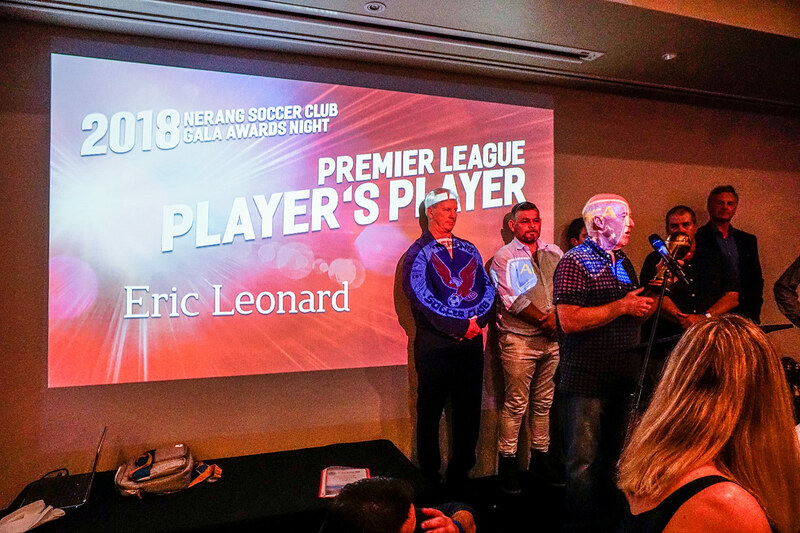 2018 Men’s Premier League Player’s Player, Eric Leonard, was a crowd favourite in 2018 but unable to attend the evening due to his return to the United States in pursuit of professional opportunities. 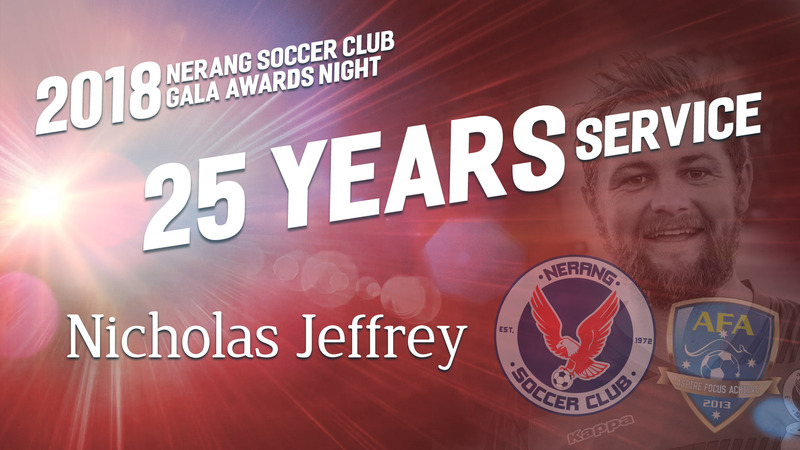 Club stalwart, player, coach, inspirer and legend Nicholas ‘Klaus’ Jeffrey was honoured for 25 years at the club.